The UK and the U.S. held a marine technology small and medium-sized enterprise (SME) best practice exchange at the Ocean Business 2019 exhibition in Southampton, UK on 8 April 2019. 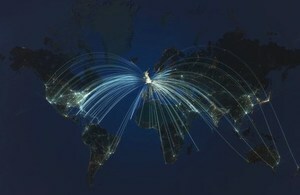 This was under the auspices of the United Kingdom-United States Trade and Investment Working Group. The exchange highlighted the opportunities for marine technology SMEs in the UK and U.S. and identified the support available from governments and the private sector to help them access one another’s markets. The UK and U.S. welcomed the creation of a business-to-business contact group of UK and U.S. SMEs in marine technology under the leadership of the Society of Maritime Industries for the UK and The Maritime Alliance for the U.S.
During the best practice exchange, UK and U.S. SMEs learned how they would be able to benefit from the Mutual Recognition Agreement (MRA) on marine equipment signed in February 2019 by the U.S. and UK in Washington, DC. Under this agreement designated products which comply with U.S. requirements will be accepted for sale in the UK without any additional testing, and vice versa. The MRA will help ensure that U.S.-UK trade in these product sectors is not disrupted when the UK leaves the European Union. Based on 2018 data, an estimated $344 million in U.S.-UK marine equipment trade would be covered under the MRA, creating opportunities for small businesses on both sides to access transatlantic markets. Bilateral trade in this sector has been growing in recent years.